Home › Studiu biblic › Care sunt darurile Duhului Sfânt în viața ta? Care sunt darurile Duhului Sfânt în viața ta? I’ve found many people are confused about the Fruit of the Spirit, and so I put together this article to help us think more deeply about the Fruit of the Spirit and what it means to our Christian walk. Plus, I made some fun coloring sheets to help you reflect on this important passage – keep reading to download your coloring sheets. 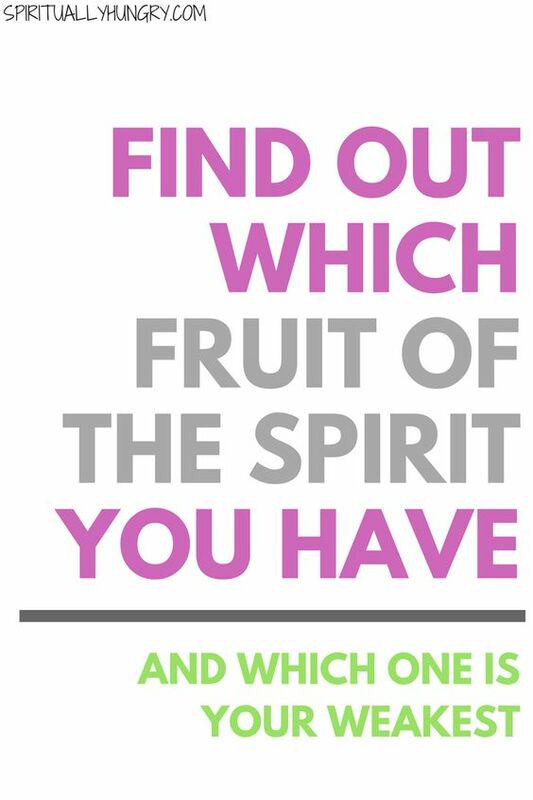 But does that mean you automatically have those particular Fruit of the Spirit because they are part of your disposition? I believe, based on my studies of this passage, that the Fruit of the Spirit is much deeper than we often take into account, and it’s my hope that this article will help you better understand the Fruit of the Spirit in your life, both areas where God has blessed you and the places where you may be called to growth. So let’s take a closer look at the Fruit of the Spirit, and I sincerely pray these ideas help you better see how the Fruit of the Spirit applies to your life and faith. I have always been fascinated with the Fruit of the Spirit as found in Galatians 5:22-23. I think it’s an interesting barometer for measuring how closely you are walking with God. When we study Scripture, it’s critical to not isolate texts, because verses are built upon paragraphs, and paragraphs are built upon chapters, and chapters are built upon books. The vast majority of Scripture requires us to look at the text before and after to fully comprehend the target passage. To simply look at Galatians 5:22-23 without first examining what Paul says before, or why he is saying it, is not all that helpful. Throughout Galatians, Paul makes a case to the original audience, the churches of Galatia (modern day Turkey), that the message he preached when he founded their churches is no longer central to their beliefs. The Christians at Galatia had begun to believe that it was through the law they were saved, not by grace. Paul makes this argument most poignantly in Galatians 2:15-21. This is all important because when we get to the Fruit of the Spirit, there is purpose and intent in why Paul writes about this particular topic. Paul is not teaching about the Fruit of the Spirit on a whim, but rather as a discipleship point to help people see if they are living a life marked by God or by the flesh and sin. He was trying to show the people of Galatia that it’s not through the law they were saved, but through the work of Jesus Christ, and the mark of a believer in Christ is the Fruit of the Spirit. More broadly, the section of the text that the Fruit of the Spirit falls in is Paul’s description of freedom in Christ through the Spirit (5:1-6:10). And even more specific, the subcategory of this section is the law of Christ (5:13-6:10). (vv. 13-15) Believers must love one another, and in doing so they fulfill the entire law. (vv. 16-21) They must avoid gratifying the “flesh,” that is their sinful natures. (vv. 22-26) By contrast, Christians will embody the Fruit of the Spirit. “Paul declares the “flesh” to have been crucified, but he immediately goes on to command his readers not to commit the acts of the flesh but to walk by the Spirit (vv.24-26), demonstrating that Christians always have the possibility of lapsing and serving the old nature that continues to reside in them and compete with their new Christian natures (Romans 7:14-25). Okay, this is very important to understanding the background of the text and will help you better understand the Fruit of the Spirit. I once heard a sermon that depicted the Fruit of the Spirit not as individual fruits but as one, singular Fruit. I thought this was an interesting take. The original language could mean a singular or a plural form of fruit, so it is subjective. But, that doesn’t mean there isn’t value in looking at the fruit being plural and fruit being singular. It should be noted that the Bible was written in ancient Greek and Hebrew. When you are studying your Bible, whatever translation you might have, you are looking at the results of a team of Biblical language scholars who took the original language and interpreted it into modern language so we could understand it better. Many Biblical words written in the original language have a range of interpretation variants, and it is these variants that makes Biblical interpretation very hard. So, if the word “fruit” is intended to be interpreted as singular, individual fruit, then the meaning of the text has a slightly different impact, right? But if the word “fruit” was intended to mean a sum of a whole, then Paul is indicating something a little different. Paul speaks of the spiritual journey a lot in his writings. He talks about the relationship with God being something that we are always working on and there is always room for improvement. I think there is individual Fruit that we are divinely gifted. God grows, develops, and refines that natural fruit in our lives. But I also think there are other Fruits that we have to work on with God to obtain. Now, let’s look at “Fruit” as a collective word. From that perspective, “Fruit” mean encompassing all the virtues. Again. I think it is beneficial to look at Fruit in this way too, like the sermon I heard years ago. When we look at the Fruit of the Spirit as all-encompassing Fruit, then it starts to depict the life of Jesus, Paul, and the other greats of our faith. And that is our goal, right? Our goal is to be like Jesus in this world. A life walking with God and depending on Him for everything, above anything else, will naturally develop the Fruit. It’s because the Fruit of the Spirit can only be developed, nurtured, and cultivated by God. These Fruit cannot be bought or mass produced. They are grown specifically by and through God. All God needs from us is to be open to how He grows them and to remain in Him. Now that we have covered all of that, we are finally ready to dig into the meat of the passage – or rather the juiciness of the Fruit! Of course, there are nine Fruit of the Spirit in this passage, love, joy, peace, patience, kindness, goodness, faithfulness, gentleness, and self-control. Below, I will go into some detail about the meaning of each Fruit. …and a few follow up questions to help you process what Fruit is a natural gift of yours and which one is the one that you need to work on. Love must always be understood in the light of 1 Corinthians 13. What is interesting about the definition of true love, as found in 1 Cor. 13, is that this definition is cushioned around the gifts of the Spirit that Paul speaks about in both 1 Corinthians 12 and 14. Isn’t that fascinating? There is something Paul is trying to hit home here, and it merits our attention. True love is only grown and achieved through God and is not independent of Him. The beautiful Scripture in 1 Corinthians 13 isn’t describing romantic love, but rather what love is. So when we say we love someone, anyone, it should be lined up with this measurement of love that Paul teaches us. Love is so important and paramount that Paul defines it as better than faith and better than hope (1 Corinthians 13:13). You are often described by others as a loving person. You tend to focus on reconciliation and forgiveness. You accept others (and yourself) where they are and not where they should be. You have difficulty putting others before yourself. You often find yourself overcome with envy. First thing first, joy is not an emotion but a virtue – a Fruit. Joy is not the same thing as happiness. No, joy is deeper and more profound. Isn’t that interesting? Isn’t that kind of cool? Joy is a very common theme in the New Testament linked to suffering (James 1:2-4) and throughout the letter to the Philippians (1:4, 18, 25; 2:2, 17, 18, 28, 29; 3:1; 4:1, 4, 10). Joy is a wellspring of gladness produced by the Holy Spirit, a thing that is birthed from deep thankfulness and trust in God. You can find humor or the good nature in tough situations. You are good at raising other people’s morale. You have this hidden light you walk around with that often prompts you to turn to God in thanksgiving and the spread joy. You have difficulty seeing the good in trials. You are unstable when things are very difficult. Peace means “to join, tie together into a whole” – properly, wholeness, i.e. when all essential parts are joined together; peace (God’s gift of wholeness). Peace is something we hear Jesus also mentioning in His ministry (John 14:27). In addition, Paul speaks a lot about Christ bringing peace to the Gentiles and Jews through the Cross. This is important as it reinforces the idea that peace makes us whole. Having peace is an indicator that you trust God and have deep faith beyond what you can see with your eyes. For peace only comes when you fully submit to the Lord and entrust your life to Him. You don’t have difficulty staying present in a moment. You are comfortable (or even welcome) with uncertainty. You’re known as a person who brings stability and wisdom to situations. You find yourself consumed with the past or the future excessively. You like to gossip (or talk about with pleasure) chaotic situations. You tend to have a lot of unresolved conflicts throughout your history. This virtue is something we see God displaying every day. The fact that God has not ended this world is an act of patience because He is following His plan and His will. In addition, God not only stayed with humanity despite the fact we continually rejected and dishonored Him, He then decided to save the world at the perfect time through His Son. All of this is an act of patience. So, with that understanding, we look back to the original meaning of the word and see patience coupled with long-suffering. It is an act of reservation, withholding from improper anger. The patience emphasis seems to be linked with withstanding long-suffering. Now, this doesn’t mean you simply endure suffering, but again the Fruit of the Spirit is only administered through the Spirit. Just because you survive a storm doesn’t necessarily mean patience is your natural gift. This type of patience is from the Holy Spirit and bears a strong resemblance to holiness, as do all of the Fruit of the Spirit. You recognize the value of processes. You feel comfortable in incomplete or yet to be fulfilled circumstances. You feel at ease when you have to wait for something. You expect immediate results for everything. You feel anxious if you don’t have everything figured out or completely under control. Waiting is concerning or upsetting to you. The essence of this Fruit of the Spirit is not just being kind to people who you like and are likewise kind to you. No, this spiritual kindness is the outcome or behavior of someone else you showing them kindness, especially those who do not extend love back. This is the root of generosity and giving. As such, you are imitating God to those you extend the Fruit of kindness to. You don’t take it personally if someone is mean to you and it does not affect how kind you are to them. You do not administer kindness based on your own feelings, but rather compassion and deep concern to enrich other peoples lives, expecting nothing in return. You love to bless people by responding to the nudging of the Holy Spirit. You only show kindness when people show kindness to you. You won’t show kindness again to a person who failed to acknowledge you. Your kindness is sometimes held back because of the fear of rejection. People who exhibit the Fruit of goodness are the visible Light of Christ in the world. They have an inherently good nature and others see that. It is through the devotion to Christ that this Fruit of the Spirit is available, as with all of the Fruit. You find the intentions behind an act to be more important than the action itself. You are concerned about vulnerable, oppressed, or exploited people when you encounter them. People readily recognize that you have a high moral standard. You think that as long as a job gets done, you aren’t concerned about the motivations behind it. You tend to only be concerned with your well-being or a close circle of people around you. People often question your motivations or behaviors. Faithfulness is shown through devotion, especially when things are not easy or confusing. People who possess this Fruit of the Spirit, remain in God for everything, despite circumstances. You easily run to God during hardships and don’t struggle to stay connected to Him during the trial. You’re able to stay closely connected and dependant on God even during good times when you have few needs. You strongly feel God’s purpose in both big and mundane moments. You easily feel abandoned by God, especially when things aren’t going well. Your spiritual life dries up quickly when you have few needs or hardships in your life. You tend to feel God isn’t deeply involved with your life, regardless of the circumstances. This shouldn’t be confused with being meek, as in afraid to speak up or do things. There is an intentional gentleness with this Fruit of the Spirit. In this gentleness, power is found, much like Jesus often displayed in His ministry. Compassion is a motivator here. This Fruit is seen played out when there may be conflict. The person who has this Fruit looks for healthy resolutions and is incredibly compassionate, but yet still strong when addressing difficult matters or situations. You’re able to authentically listen to people with a differing point of view without becoming upset or defensive. You’re known for bringing order to chaotic situations with grace and compassion. You have the reputation as a good person for hurting people to talk to about difficult problems. You have a difficult time hearing other opinions and often end up in arguments. You often find yourself choosing sides during conflicts and entering into the fray. People are often afraid of how you’ll react to bad news or their vulnerable problems. Self-Control comes from a rarely used word in the New Testament. Again, there are a lot of people walking around with self-control – we see it all the time in exercise, eating habits, personal goals, etc. However, since this is a Fruit of the Spirit, it merits more than just being a disciplined person. If you have the Fruit of self-control, it is because the Holy Spirit gifts you with it. Again. these gifts can be fostered and grown through the power and strength of God in your life. One way to look at this gift would be to assess how fluid self-control is in your life. You may have a lot of control in one area, but lack discipline in many other places. These are all important considerations as you’re assessing your gifting. Furthermore, if we go back to the first Fruit, love – God’s definition of love nonetheless – this is too is a qualifying agent for all the Fruit. You are a balanced person in most respects, without any major struggles to maintain discipline in a particular area. You rarely find yourself feeling guilty about personal decisions that you’ve made. You make decisions based on what you rationally believe to be the best choice. In more areas than not, you’re disorganized, unbalanced, or struggle to maintain discipline. You frequently feel bad about choices that you continually make. Emotions and desires are the foundation of your decision making. So, there you have it – a breakdown of the Fruit of the Spirit. I hope this helps you identify your natural, God-provided gifting and provides a means for turning to God to ask Him to develop some of the other underperforming Fruit.